Hashtag Selfie won a Maryland Million starter handicap for owner Bob Bone. Photo by Dottie Miller. The owners in thoroughbred racing aren’t often in the spotlight, though they basically bankroll the business. 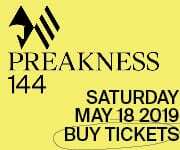 The old joke – that the way to make a small fortune in horse racing is to start with a large fortune – has been proven true countless times over the years. 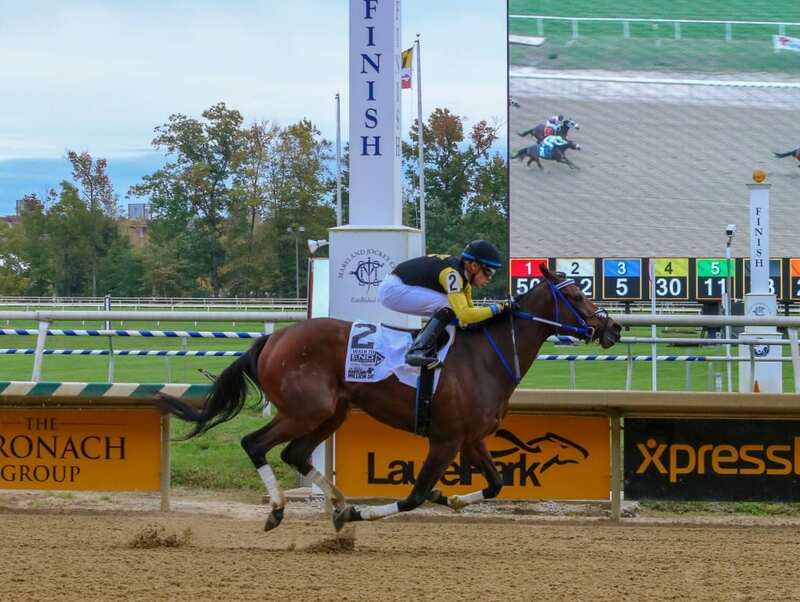 Bob Bone is a claiming horse owner, a category whose ranks are shrinking in these days of higher costs and limited opportunities, and he’s been making some noise in the Mid-Atlantic. By his own account, Bone has owned horses either in partnership or on his own for some 30 years. A lifelong fan of the sport, Bone spent his summers as a youth selling ice cream at Saratoga and had always been an avid handicapper. 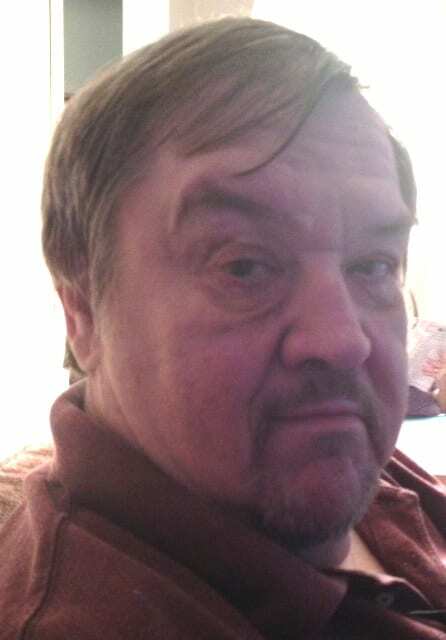 When he achieved success with a string of car dealerships in the Sacramento, CA area, Bone got into the game as an owner, concentrating on making shrewd claims of horses he perceived as having potential. He struck gold in 2004 when he put up $40,000 for trainer Jeff Mullins to claim a horse named Choctaw Nation out of a maiden race from trainer Bruce Headley. Choctaw Nation went on to win the Grade 2 San Diego Handicap twice, run third in the Dubai World Cup to favored Roses in May, and earn more than $1.1 million. He has won as many as 156 races in a single season (2005) and has had as many as 70 horses in training. But he’s also had a year, 2011, when he won just once, and he’s seen his stable dwindle to just a single runner. In short Bob Bone has seen it all when it comes to owning and racing thoroughbreds and has managed to survive in a business that has claimed more than its fair share of owners, many with more money available than Bone. Since 2000 his horses have won at better than a 25 % clip and have earned some $18.8 million. Though he is based in California, Bone has had a growing presence in the mid-Atlantic region. He won three times at Delaware during that meeting and has won with seven of 15 starters at Laurel Park during the fall stand. Bone said he was also attracted to what was happening in Maryland. 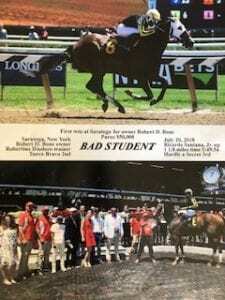 Win photo from Bad Student’s win at Saratoga for owner Bob Bone. Photo provided by Bob Bone. “When the Stronach Group took over in Maryland, you could see things begin to turn around there, and racing has continued to improve and generate more revenue, which means bigger purses,” he said. And, he added, having a bunch of racetracks within driving distance of each other doesn’t hurt. With all his involvement, Bone says that one key is to be hands-on where it makes sense – and hands-off where that makes sense. Bone’s Maryland runners have had a good year in 2018. He won eight races from 30 starters at the winter meeting at Laurel, captured six races from 22 starts at the summer meet and thus far at the fall meeting he has seven winners and a pair of seconds from 15 starters. All told, he has won 21 races from 77 starts in the Free State this year. Bone said he loves the business and has since he was working summers at Saratoga while attending Oswego State University. It’s a gift that keeps on giving.